Clear Tree branches from Buildings,Houses,Structures to help prevent damage. Allow Traffic or Pedestrian flow for Trees near Streets,Drives,Sidewalk. 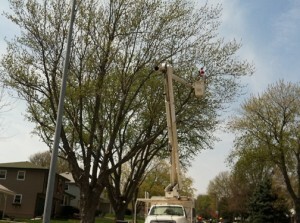 Lift low branches for access or safety Issues,including yard maintenance,play or yard access. Increase Visibility for Retail Outlets,Signs,Billboards,Traffic Signals or Residential Fronts. Create a scenic vista view. When Removing Limbs it is best to be proactive and cut small limbs before they become large limbs to reduce wounding & save on future maintenance cost when possible. If young Trees are pruned to promote good structure from early on they should have fewer structural defects and less potential for failure as they mature. Whether it be regular pruning maintenance or emergency storm damage we are the place to call for Commercial & Residential Tree Services. For more Information or a Complimentary Estimate Call Today to discover the difference yourself. 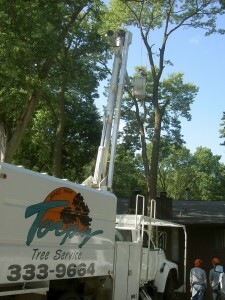 A Consultation with an ISA Certified Arborist is available upon request.